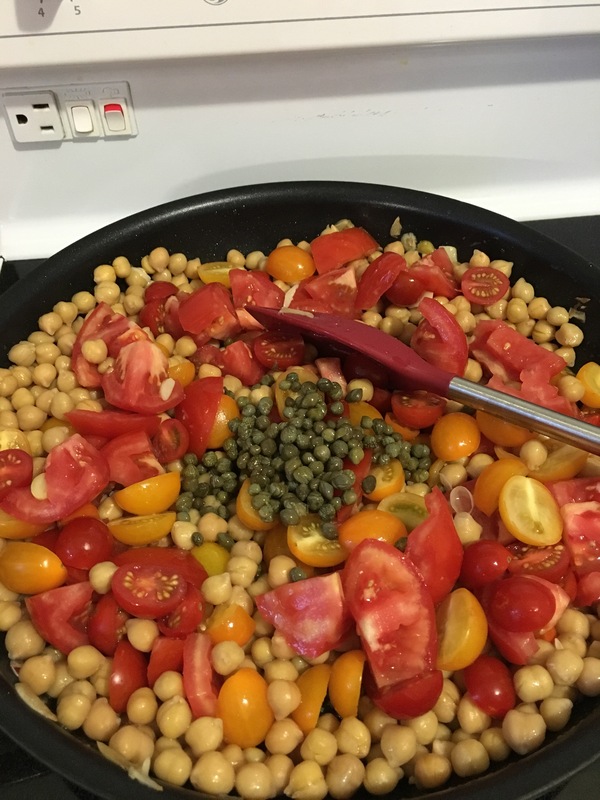 I received a blog post in my inbox from Alexandra for this chickpea stewy dish and decided to try it because 1) Evie loves chickpeas 2) had a bowl full of cherry tomatoes from our garden and 3) needed a vegetarian meal. Perfect right? 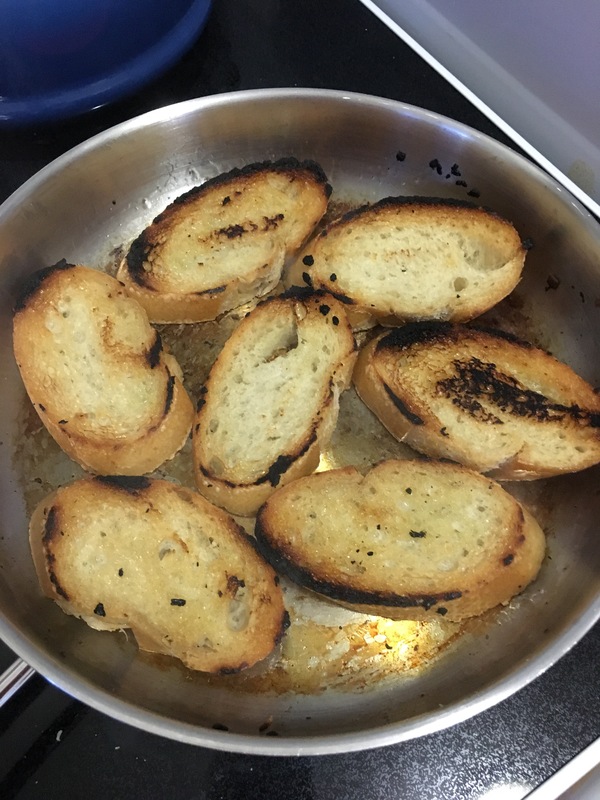 First of all you need to sweat some garlic in olive oil, you do this slowly on low heat, I probably used 4-5 cloves sliced and roughly chopped. Just let the garlic cook down until soft. Then I stirred in 2 cans of chickpeas, probably about 4 cups. 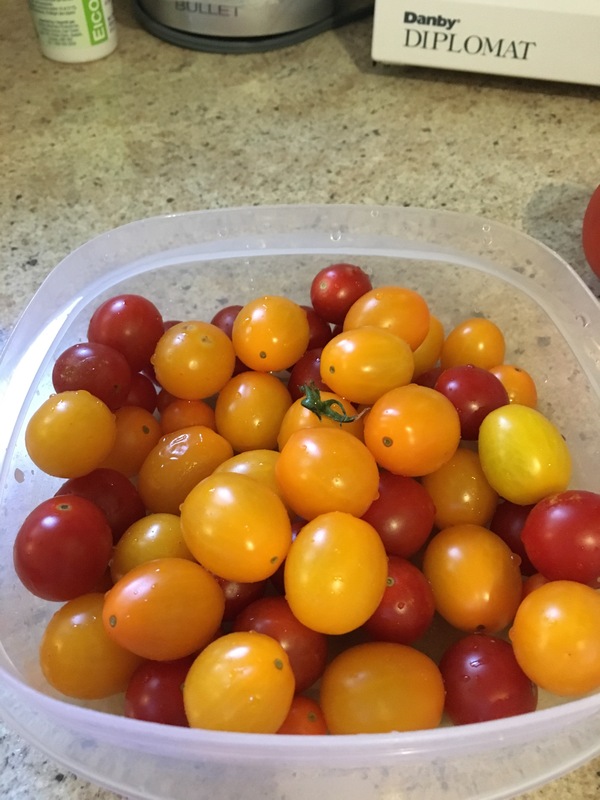 Then I roughly chopped 3 regular medium sized tomatoes and about 2-3 cups halved cherry/grape tomatoes. Throw all of the tomatoes into the chickpeas. Stir. Then I added about 1/2-3/4 of a bottle of capers. And a large splash of balsamic vinegar. Turn up the heat to medium to get simmering and the tomatoes will start to release their juices. I sprinkled with little salt and black pepper. Once it is simmering and nice and stewy throw in a large handful or two of chopped fresh basil. When Evie walked into the kitchen she promptly stated that isn’t stew there is no broth, that is not enough broth. Right away she decided it was not going to be good. Until she tried then she gave me that look that says oh, actually I do like it. 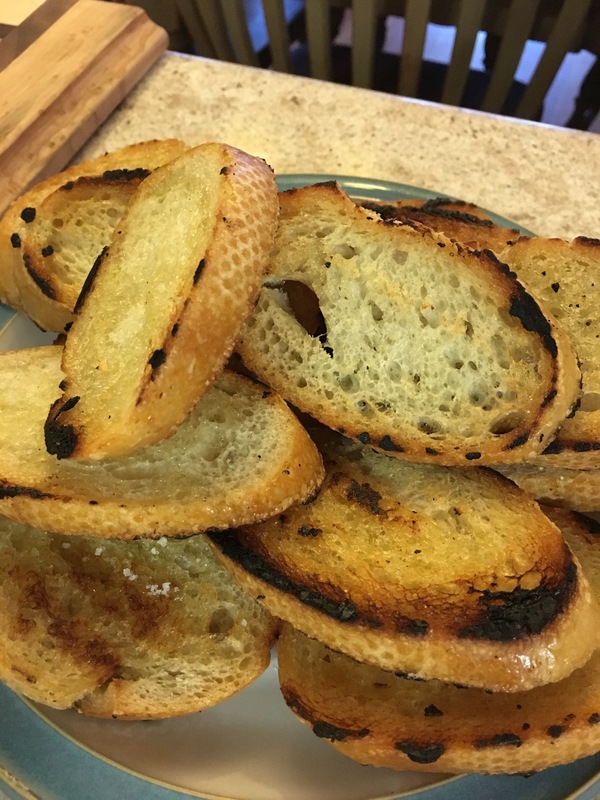 Toast some crusty bread or baguette in a hot pan with olive oil to serve with the chickpeas. 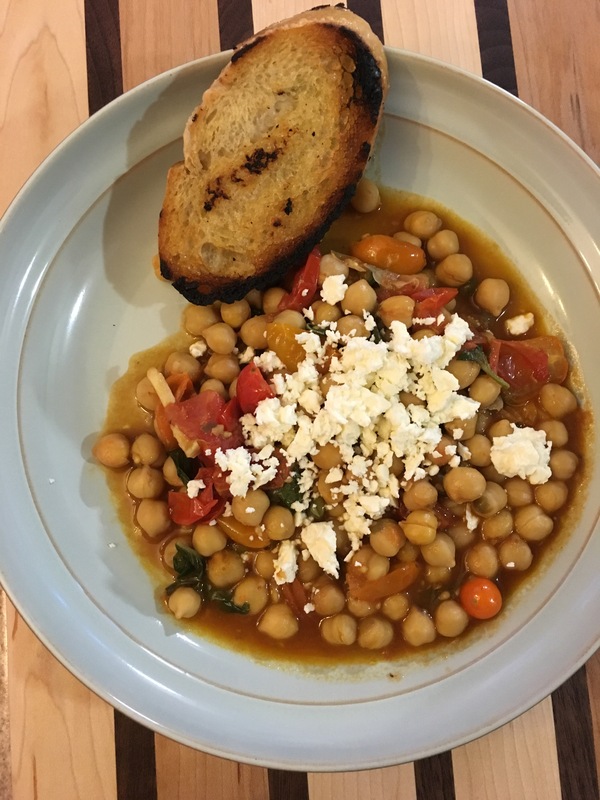 Top chickpeas with crumbled feta and serve with toasted bread. It was delicious! 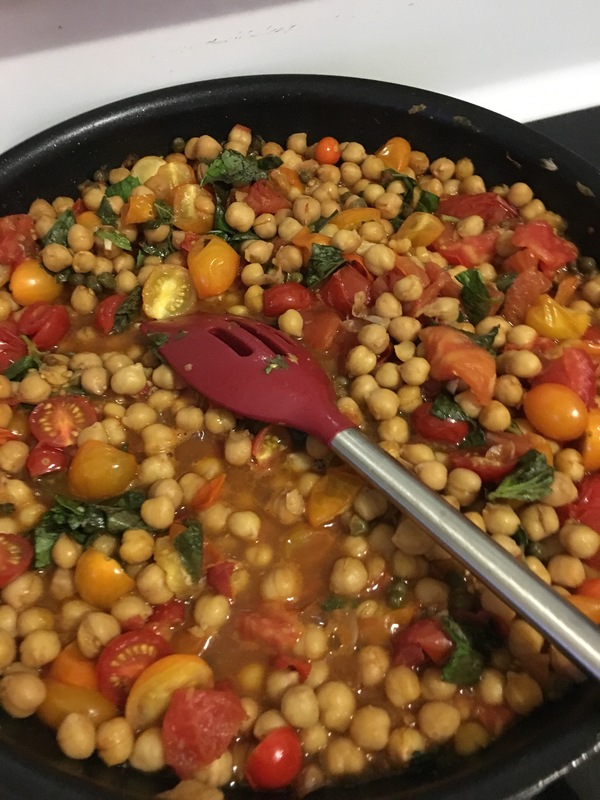 This entry was posted in cooking and tagged balsamic vinegar, basil, bread, capers, chickpeas, feta, fresh, garlic, healthy, olive oil, real food, tomatoes, vegetarian.